Repurposing items for new decor can turn long forgotten pieces into decorating dream furnishings. Dig into the boxes buried for years in the attic and get the long outdated clothes out of the back of the closet. It is time to work magic by repurposing the ordinary items in the house into new beautiful decor. Watch me on this eHow video instructing on ideas for repurposing items into beautiful decor! Imagination is most important when repurposing the ordinary into beautiful new decor. Repurpose an old luggage rack into a new end table easily by adding a decorative top fashioned from a board covered with fabric or even just an attractive large coffee table book. Decorative metal serving trays can be repurposed into magnetic memo boards hung attractively on the wall. 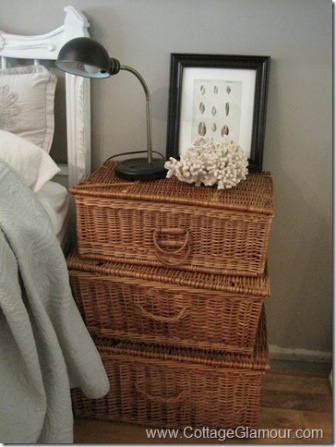 Old crates are wonderful items to repurpose into end table or hung on the wall as decorative display shelves. Keep their natural rustic appearance or paint them in a striking black or white, or lively color. 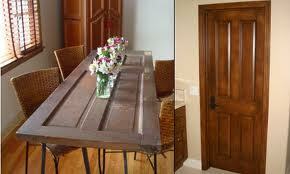 Old Doors are perfect for creating new desktops and dining tables with. A collection of corks from wine bottles can be repurposed into a pretty and functional cork board. 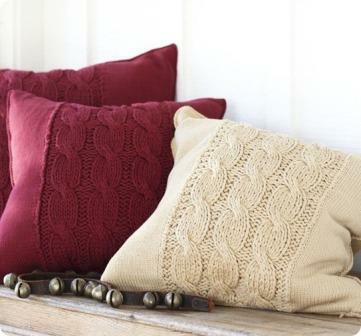 Used drapery, coats and clothes can be turned into attractive pillows and throws. Common household objects made with clear glass can be repurposed into wonderful living beauty for the decor. Take an out of date old glass electric meters and turn it into a terrarium sculpture to be hung on the wall. 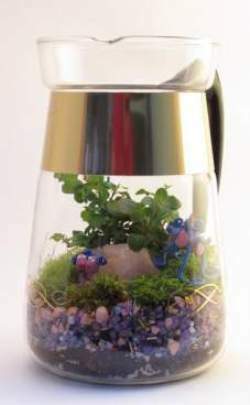 Grandma’s glass coffee pot will make an artistic terrariums with soil instead of coffee grounds. Ordinary clear glass salt and pepper shakers, and spice jars will make a sweet grouping of terrariums to be displayed on a wall hung spice rack. Clear glass Christmas ornaments can be placed on display year round when repurposed as a home to beautiful plant life. 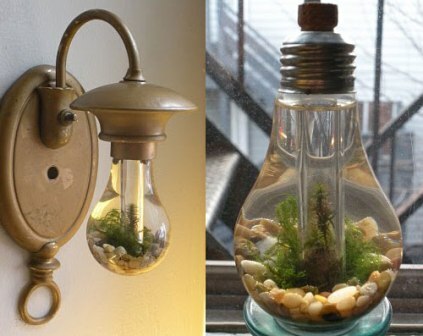 Turn the common Light bulbs of varying sizes into terrariums of flourishing blooms for the decor. Display on a tabletop or screw the light bulb back into an old wall sconce for a decorative lively wall sculpture. Picnic baskets stacked will create a lovely end table or night table. 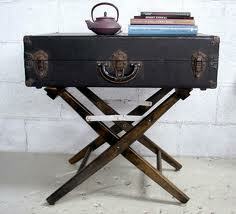 Place bunt feet or casters on the bottom of a large trunk basket to create a coffee table. Add a cushion on top to make it into an ottoman. 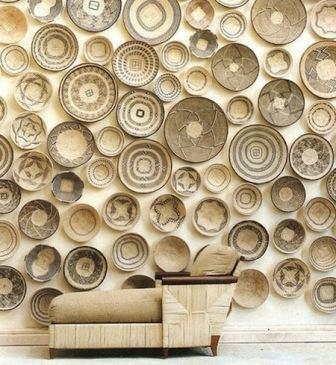 Use baskets in different patterns to cover a wall. 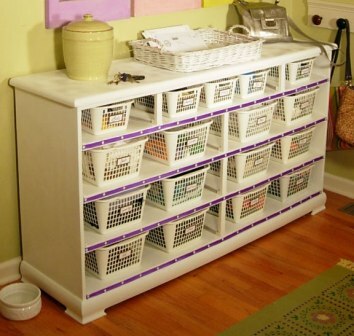 Replace drawers broken or missing in an old dresser with baskets for a new design. Flip a basket upside down to turn it into a pendant light. 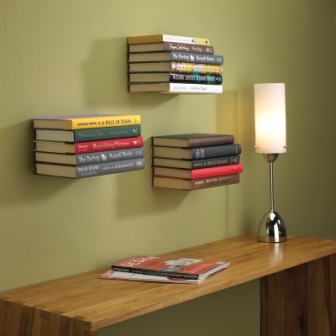 Repurpose books into useful shelves worthy of showing off in the abode. Just about every household has old books. With e-readers becoming increasingly more prevalent, books are becoming obsolete so this is the perfect time to turn the books stored away into useful decor to keep and treasure. All you need is a large and strong L-bracket, screws to attach the bracket to the book and the wall, glue, one book as a permanent shelf and a stack of books that will be high enough to cover L-bracket on wall. Attach the large L-Bracket with the ‘L’ facing up onto the wall where you desire your book wide shelf to be. Simply glue the inside of the back cover onto the bottom of the large L-bracket so that when the book is closed the only part of the bracket that is seen is the metal above the book. make sure the glue dries. Use the stack of books to sit on top of the book glued to the bracket. They should be high enough to cover the bracket sitting against the wall. You now have what appears to be beautiful floating books on the wall to place an interesting object upon. Repurposing is fun and exciting with the added benefits of saving money and keeping used items out of the landfills. Everything old can become new again. Keep the imagination flowing and never be afraid to dance! Show me your support and subscribe to this blog! Sign in under email subscription at the top of the column on the blog’s right side. Be sure to follow me on my twitter page!